Our market leading prices make us the UK's most popular destination for Disposable Vinyl Gloves. 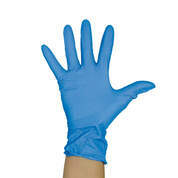 Choose from blue, clear and powder free vinyl gloves. 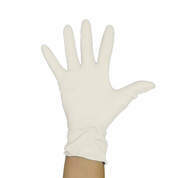 Our vinyl gloves are perfect for any healthcare task. We have a variety of sizes available to ensure a snug fit and to avoid tearing. They are BS EN 455 Part 1, 2 and 3 compliant, and AQL 1.5 medical grade. Please note these Vinyl Gloves are non-sterile and are not suitable for invasive medical procedures.